When you’ve got an infant at home, the last thing you want to worry about is what “unpronounceables” are in the food you’re giving them! What’s the best way to avoid this predicament…make your own! 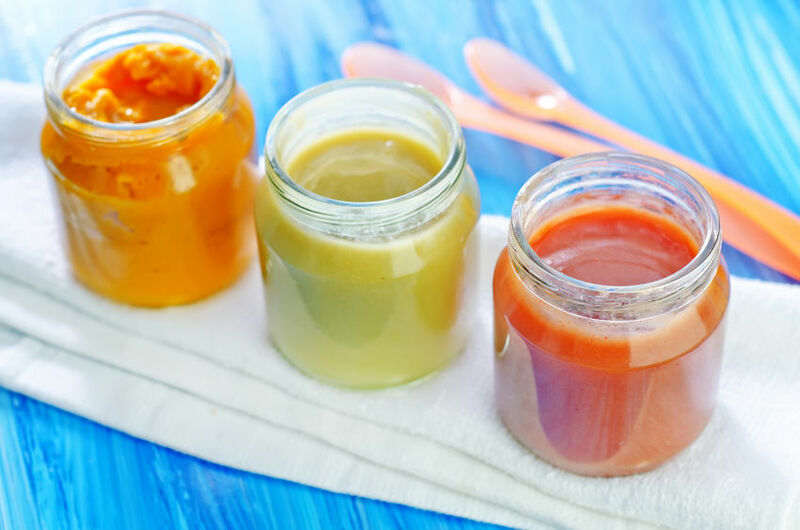 Not only does homemade baby food give you the peace of mind of knowing what’s in it, but it can also be a huge money saver! Of course, use your New Mum judgement to decide what foods are best suited for your little one based on where they are developmentally. With that said, don’t be afraid to try something new either! A simple rice based cereal that you can add to as your baby’s tastes expand. A delicious warm you up winter meal, and only 25 minutes to make! Super healthy, and so delicious and creamy you’ll dig in too! A great way to boost electrolytes, while keeping costs down. Eat it on it’s own, then use it as a dip when your child grows into solid foods. This is a great transitional snack to help your child start differentiating between textures in their mouth! Perfect for when your little one starts cutting teeth, and preservative free! The bright colour makes this carrot/potato blend incredibly appealing to little ones. Refreshing, creamy, healthy, and deliciously sweet! Your baby will love the apple taste so much; they won’t realise they are also getting the health benefits of squash! What are some of your babies favourite first foods? Share your favourite recipes and ideas in the comments.